Today’s event brings together innovators who will share with you the near future. A future that will build upon networks that we as an industry are already building. 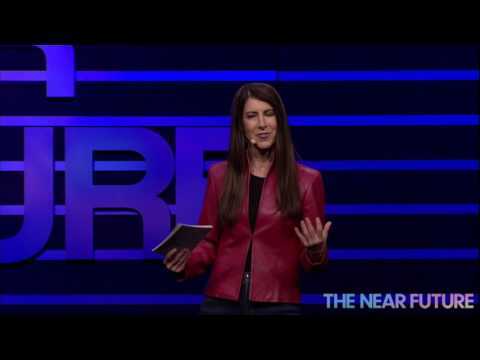 What does the near future look like? Make no mistake - it's already (virtually) here. It unfolded before our eyes on April 27, 2017, at Union Market Dock 5 in Washington DC at the first Near Future forum. Co-sponsored by NCTA (The Internet and Television Association) and CableLabs, the immersive experience was created to showcase next generation technology enabled by the cable industry. Attended by a mix of technology professionals, visionaries, policy experts, and media leaders, the event featured a wide range of speakers and live demos. 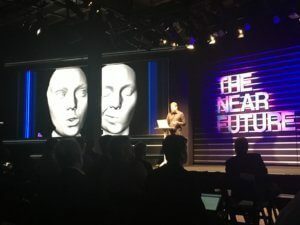 These included virtual, mixed and augmented reality, an ‘intelligent agent’ (AI precursor), an autonomous vehicle, and next gen (non-VR) video exhibits exploring the four pillars of human technological interconnectivity - the way we live, work, learn, and play. All of which are powered by cable broadband. The day opened with NCTA President and co-host Michael Powell declaring it the “un-conference”. Rather than scripted interviews and lengthy speeches, audience members were invited to interact with some of the awe-inspiring technologies that massive bandwidth and computational power make possible. Attendees could fly over city landscapes using their arms and legs with Birdly, explore a model of Local Motors’ 3D printed self-driving shuttle bus named Olli, fly through space with Positron's egg-shaped Voyager Platform, explore 3D buildings and cities with Taqtile’s 3D “HoloMaps”, or interact virtually with a holographic projection of a Holocaust Survivor in real time. The highlights of the day included conversations with the visionary thinkers at the forefront of these emerging platforms. Beginning with PLAY, Google VR Senior Engineer Paul Debevec waxed poetic about cinematic virtual reality technology and light scanning to digitize humans. This technique was used in some of Hollywood’s biggest blockbusters and the first ever 3D presidential portrait. He went on to explain that the digital faces created for movies, television, and video games are now so sophisticated that photorealistic environments in virtual reality will soon be available. Ted Schilowitz, a futurist for 20th Century Fox, emphasized that society is more ready for VR than ever due to our reliance on smartphones for everyday tasks like memory and directions. Senior Vice President of Technicolor/MPC Timothy Dodd highlighted the potential of mixing virtual reality and game engines, changing the color of a Camaro on screen and video in real time with no latency. Taking us to WORK, Eric Yan, CEO of Zoom, explained how VR will transform video conferencing and the remote workplace by enhancing collaboration and engagement among team members. 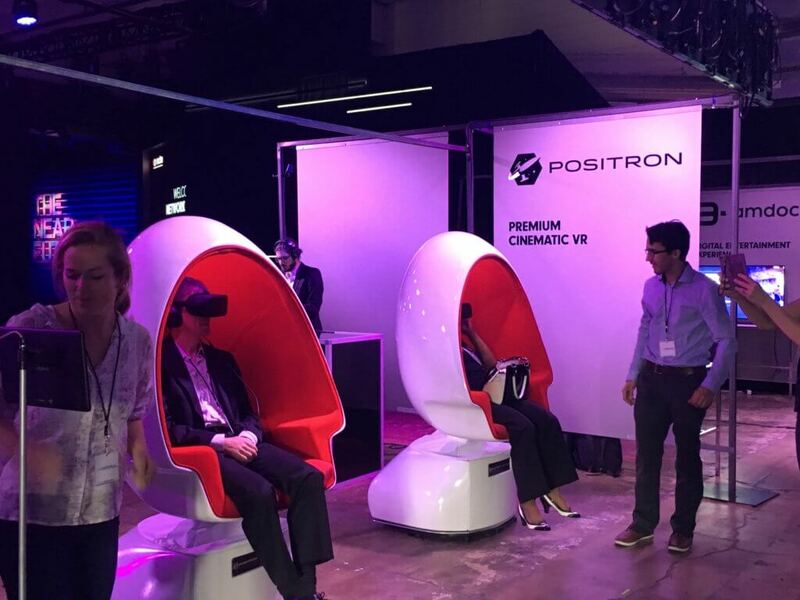 Ricardo Poupada, CEO of 5th Wall, a virtual and augmented reality marketing studio, talked about how immersive VR will revolutionize the human experience in everything from retail to real estate to medical services to entertainment. Chief Technology Officer of IBM Watson, Rob High, invited the audience to go back to school in the LEARN segment. He demoed a future classroom, where, through the power of AI, instructors transformed into the greatest thinkers throughout history. In the same vein, David Traum, director of Natural Language Research at USC Institute for Creative Technology, spoke about students learning history in real time from real people, using the virtual reality Holocaust survivor as an example. In the LIVE segment, Dr. Wyatt Decker, Emergency specialist and VP at the Mayo Clinic, emphasized the need for 3D printing, virtual reality, genomics, robotics, and data mining to revolutionize the medical industry - creating low-cost patient-friendly solutions in the process. He used the examples of biomimicry of robotic limbs for amputee patients, 3D printed organs, and functional MRI’s. Audience members watched in wonderment as a video was shown of a patient having brain surgery while playing the piano. This allowed surgeons to stay away from the structures involved with the piano playing while removing her brain tumor. To read more about the connection between cable and healthcare read our blog post: Cable Connects with Health Care by CableLabs CTO Ralph Brown. The Near Future emphasized that broadband is the catalyst for innovation in services and apps. The demos and speakers all highlighted the amazing technology we have in the present and the future possibilities of the high-speed, low latency networks that connect our homes, businesses, and mobile devices. The spirit of the forum was reiterated by host Kym McNicholas at the closing of the event: “The key is to be proactive, not reactive. Don’t let what you don’t know get in the way of innovation. It’s this out of the box thinking that makes the impossible, possible." This conference was based on our Near Future video. For more information on cable broadband, policy, and network innovation outpacing application innovation check out this Insights paper we wrote on the gigabit evolution and read this interview with CEO & President of CableLabs Phil McKinney. If you’d like to know more about the Near Future event visit TheNearFutureNetwork and NCTA’s Twitter feed @NCTAitv. You can watch the conference in its entirety below.